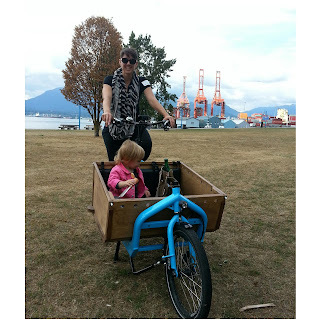 After getting to test drive a few front loading long john style bikes (I call them bakfietsen) recently at the HUB Member Picnic & the Mount Pleasant Family Biking Festival, I decided to add in a section in my Cargo Bike FAQs on the differences I see between the two styles. I've been thinking about it a lot in the past couple of months because I am coveting another cargo bike--I'd love to have a bakfiets as well as our Yuba Mundo. They both have different strengths & weaknesses. 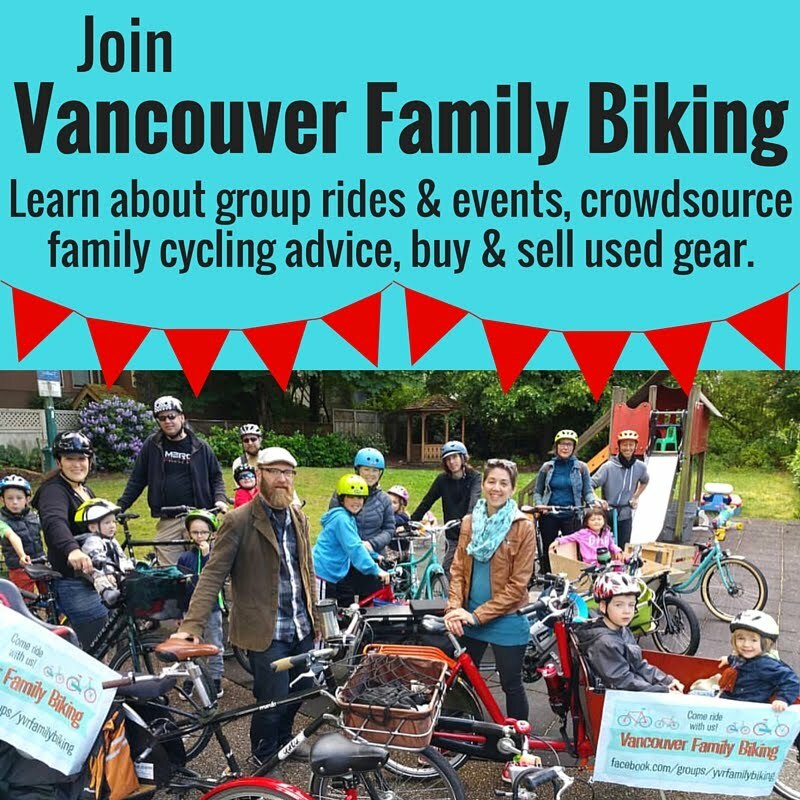 I think if we added a bakfiets to our fleet--especially with an e-assist--it might make some of the cargo hauling runs we do that much easier & maybe even replace a few more of the Modo carshare bookings. Pop over to my Cargo Bike FAQs if you'd like to take a look--in case you've already read the list before, the comparison is at the bottom.